For complete details, download the official flyer. MRC-Tri retains Division Club Title in New England Club Championships! With a fantastic set of individual results Minuteman Road Club multisport team were crowned 2009 USAT Div 4 Regional Champions at Cranberry County Trifest on Sunday Aug 30th. 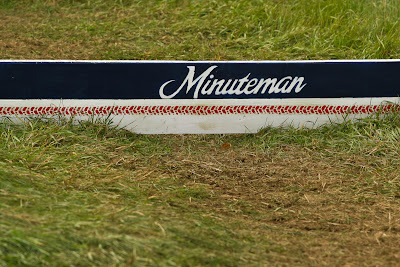 In fact, on the day, Minuteman Road Club were the top placed team across all divisions. Our 16 person team took 7 podium positions with Pattie Dalconzo 1st F45-49, Chris Pearson 1st Clydesdale, Gary David 2nd M35-39, Neal Dunn 2nd M30-34, Greg Christ 2nd M45-49, Della Jennings 2nd F45-49, and John Smith 3rd M40-44. We also had a couple of outstanding overall results with Chris Pearson fastest bike split, Pattie Dalconzo fastest female run split and Gary David 7th overall including the Elite field.